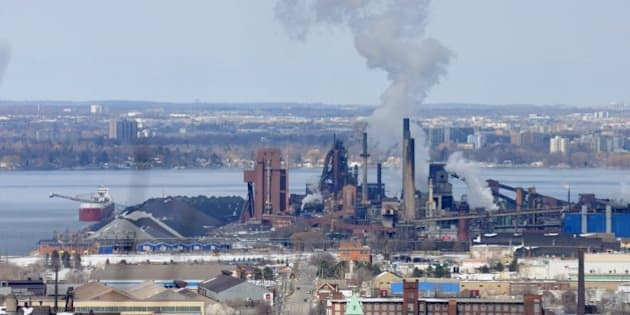 HAMILTON -- U.S. Steel Canada, citing years of operating losses, has filed for court-supervised protection to give the company a chance to restructure in hopes of being able to better compete in the North American steel industry. The former Stelco Inc, which U.S. Steel bought in 2007, has recorded a loss from operations in each of the last five years for an aggregate operating loss of about $2.4 billion since 2009, the company and its parent, U.S. Steel, said in statements issued after markets closed on Tuesday. "The company has obtained a court order from the Ontario Superior Court of Justice for creditor protection under the Companies' Creditors Arrangement Act," U.S. Steel Canada said. The order provides a stay of certain creditor claims against during the CCAA process and appoints Ernst and Young as monitor. Under the CCAA process, U.S. Steel Canada will carry on business as usual while it develops and implements a comprehensive restructuring solution, the company said. In a separate announcement issued by U.S. Steel from its Pittsburgh headquarters, the company said it had agreed to provide the Canadian operation with $185 million (about US$165 million) of secured debtor-in-possession financing to support current operations through the end of 2015. "Despite substantial efforts over the past several years to make U.S. Steel Canada profitable, it is clear that restructuring U.S. Steel Canada is critical to improving our long-term business outlook, Michael McQuade, president and general manager of U.S. Steel Canada, said in a statement. "Operational changes, cost reduction initiatives and streamlining of operations cannot on their own make it competitive in the current environment. Entering CCAA was the only responsible course of action under the circumstances and it was taken only after all other options were thoroughly explored." McQuade said that for the restructuring to be successful, the process will require "a commitment from all relevant stakeholders to pursue innovative solutions that will create a restructured business that can compete in the North American market for the long term." "We are grateful for the continuing support of our customers, suppliers and employees at this time and look forward to working together to develop an appropriate solution for the benefit of stakeholders," he added. William Aziz of Blue Tree Advisors II Inc., as chief restructuring officer effective immediately. The CCAA filing was among three major strategic moves announced by the parent company on Tuesday, including a decision not to proceed with an expansion at its iron ore pellet operations in Keewatin, Minn., and to forgo further development and construction of the carbon alloy facilities at Gary Works in Gary, Ind. It addition to continued operating losses, it noted that the Canadian operation also represented about $1 billion of the parent company's consolidated employee benefits liability as of June 30. "We know this was not an easy decision for U.S. Steel Canada's independent directors," company president and CEO Mario Longhi said, adding that the move would allow U.S. Steel Canada to continue to operate while exploring restructuring alternatives. "We believe these actions will provide longer term stability for U.S. Steel's employees, suppliers and customers," he said. U. S. Steel Canada, with operations at Lake Erie Works and Hamilton Works, has the capability of producing approximately 2.6 million tons of steel annually and employs about 2,000 people.